Welcome to another Sew, Sew Saturday. Each Saturday I've tried to make an "appointment" with myself to get a little sewing in, especially if I couldn't squeeze any in during a busy work week. You know I always extend an invitation for you to join me every week, so you can have a Sew Sew Saturday too. 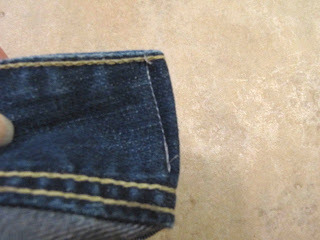 Today, I thought I would share with you some of the "mending" I did last weekend. You know that pile of clothes that needs to be hemmed, button sewn on, taken in or let out. Well, I worked on a couple things last Sew Sew Saturday. 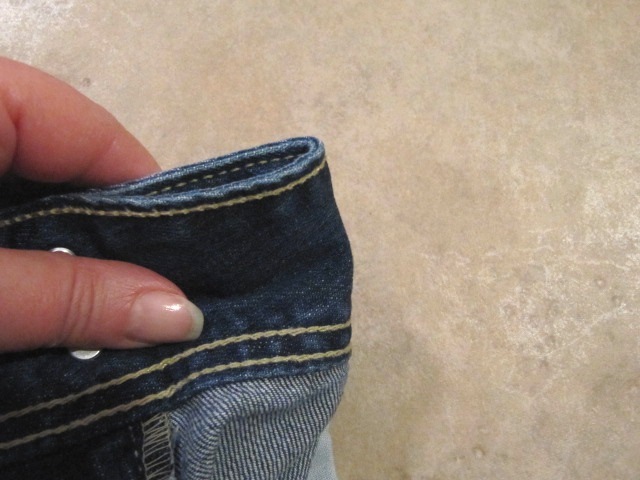 Here's a quick fix I wanted to share for that dreaded gap in women's jeans. 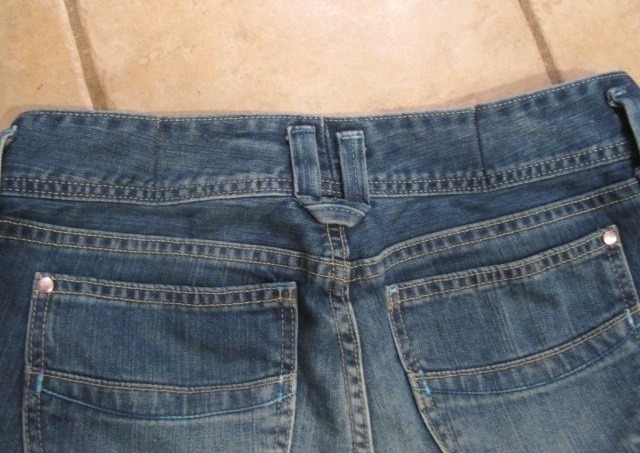 You know the gap...that space that doesn't lay flat against your waist or hip. It kind of just flaps away from your body. 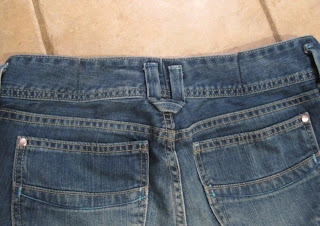 My waistbands have to be big enough to fit over my hips, but once the pants are up, zipped and button there is that little "gap"
See the 2 seams where I took a little tuck? 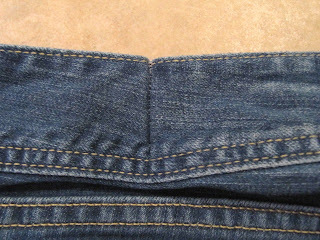 Close-up of the outside seam. 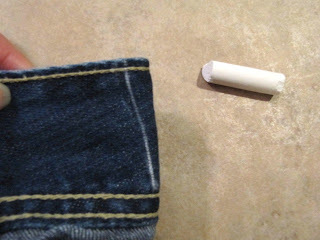 Fold over waistband, right sides together. I used chalk to show you the direction of the seam. About a 1/4 inch wide at the top and then narrows down at an angle to the bottom. I think it's better to take a few "little" tucks verses one big one. I also took 2 small ones in the front too. Don't you love my camera skills...looks like I focused in on the chalk instead of the jeans...what the heck! 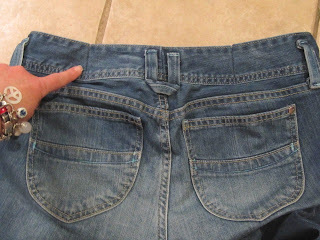 It's after midnight and I have these jeans on right now, so I don't have the stamina to take them off and take another picture... Lol !!! Chalk looks nice and clear though! I put 2 pins in the seam so you can see them. 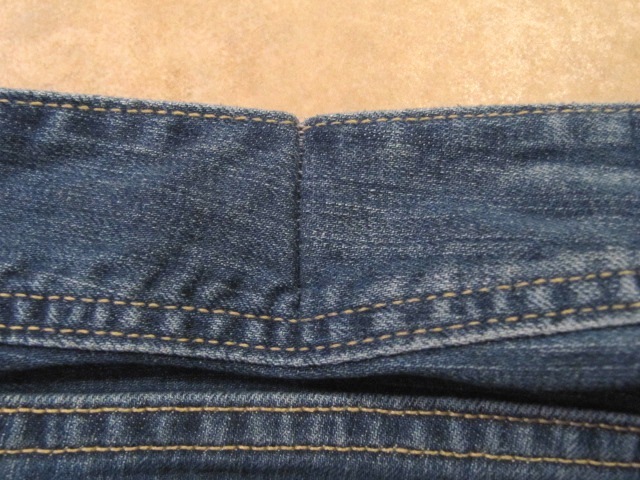 The seams disappear under a belt or shirt. 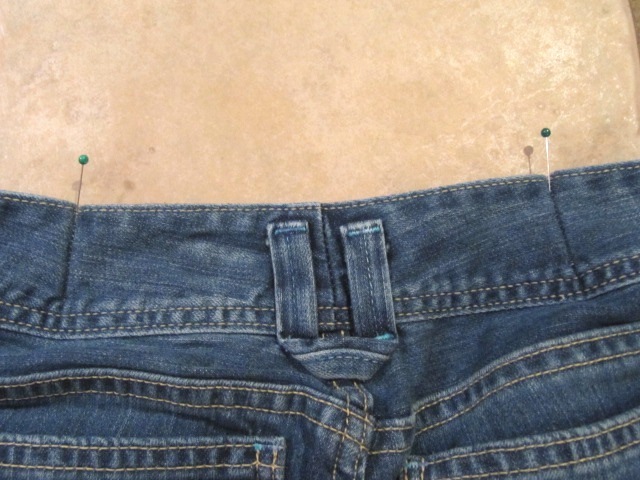 Easy, quick fix for all pants not just jeans. This works even if you don't have the gap and just want to take in the waistband. . I haven't had a chance to blog it yet, but I'm happy to say that even though I will likely not get sewing done on Saturday, I DID get some done during the week! :) Baby is due soon, and I bought a boppy pillow at JoAnn's that came with a pattern. I sewed waterproof cover out of some PUL I had left over from my cloth diapering days, and then made a second cover with a cute print along with a modification I made to the pattern. Have a great weekend, Karen! Thanks for all your great link-ups. This is a great idea. I have done the 1 seam bit which looked really bad and I have put elastic on which worked but also looked bad. I am going to try this with some slacks that gape badly. thanks. 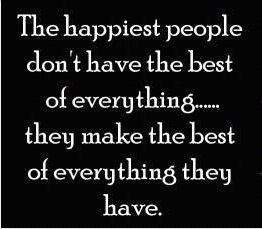 Thank you so very much! I have this problem all the time. They seem to forget that women who have hips can have a waist too. Several little tucks looks like it will work for me. Perfect idea.. thanks for sharing this with us. I've been doing this to me jeans since I was a teenager. Works like a charm! Clever idea - I hate that gap! Thanks! I used to fix my gaps this way but the pleat would rub my skin so now I open a small area under the waistband on each side and insert elastic, then sew it to the waistband and reclose up the seams. This allow for a gentle stretch and no rubbing. And I thought I was the only one to do this!! !